Happy Wednesday , you know what that means time for another blog post! So this time I decided to come up with some hairstyles that will keep my hair out of my face, that will be stay all day, and that I dont need a mirror to do! So here are the three no mirror hairstyles I came up with I hope you enjoy them! 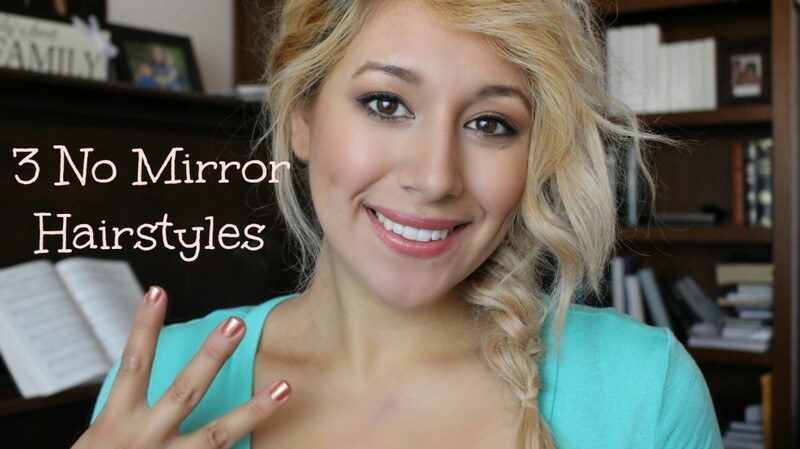 I have some tips to help make your hair ready for a no mirror hairstyle. 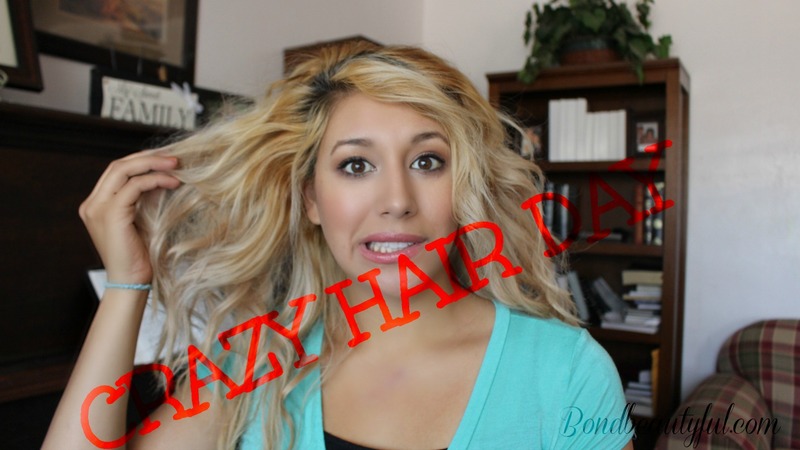 #1. make sure there is some sort of texture or curl to your hair from before. I love doing these hairstyles on 2 day old curled hair! This way no matter which crazy way your hair decides to go it looks like its meant to do that! #2. Use dry shampoo on your roots. This will soak up any access oil & stiffen your hair so it doesnt move much from how it originally looks which is awesome to keep it in place looking cute. So all you need for these hairstyles is a hair band or elastic.. 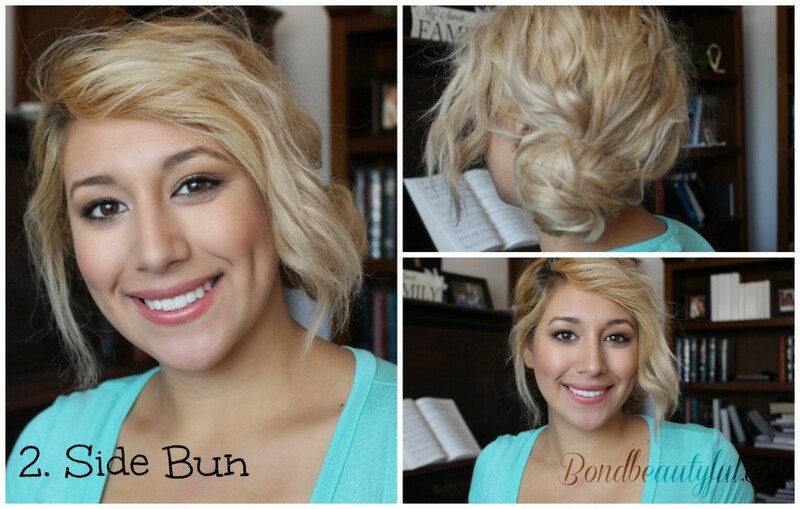 If you have layers braid the right side of the hair that has the layers. Twist the hair , making a bun. pull out any bangs or any hair you would like to have out. Take out any bangs or hair you would like to leave out. 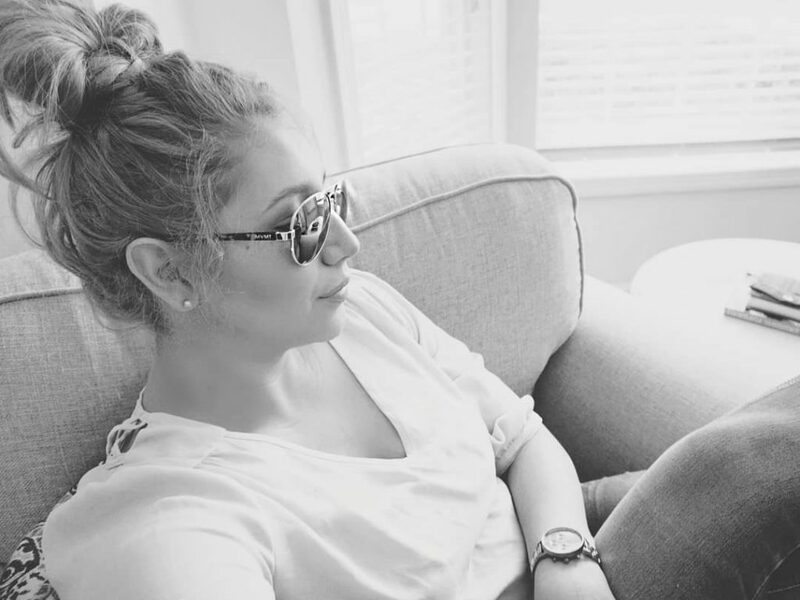 pull your hair back into a high ponytail. 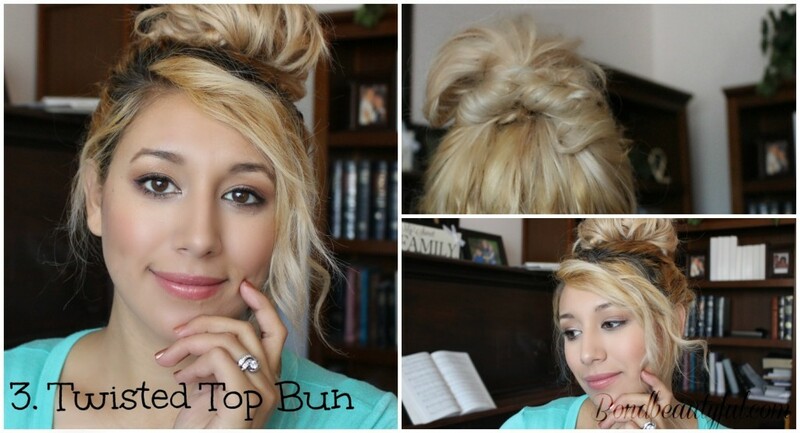 make a hole above the hair band and twist your hair backwards into the hole. take out most of the hair forming a bun. I hope these were easy to follow .. Check the video to see these all done!